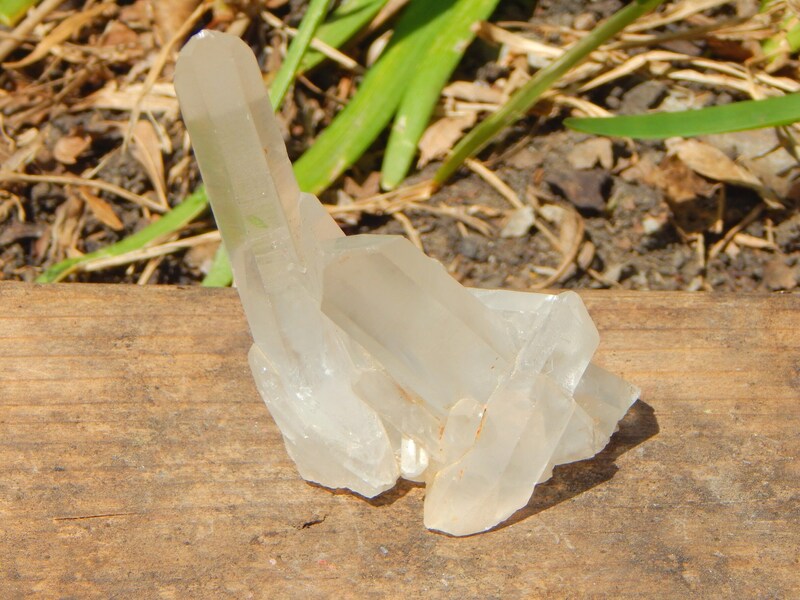 A very clear, truly beautiful self-standing Tibetan Quartz cluster with pink inclusions on the base, featuring a Grounding (8 sided) face, starburst formation, with intriguing phantoms, and an 'inner child' crystal. 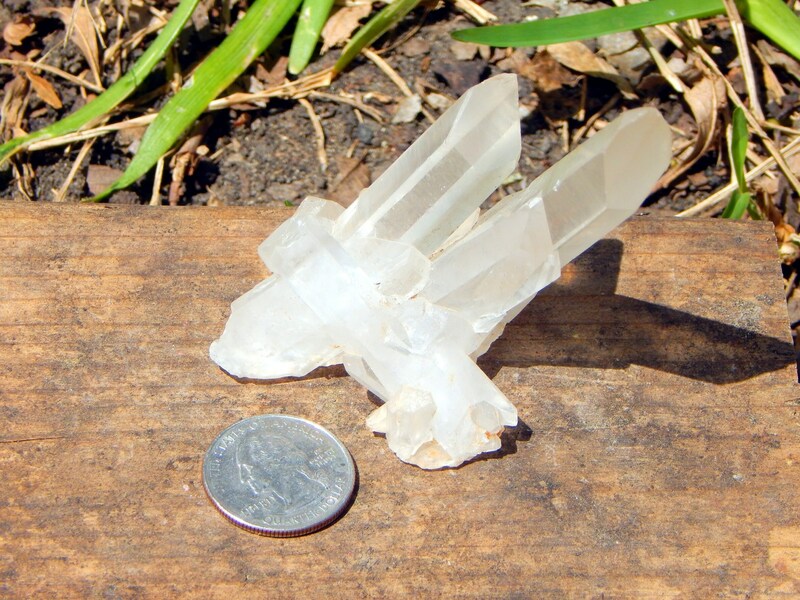 It weighs 80 grams and measures 2.67 inches tall from bottom to tip of the longest termination. Self standing. 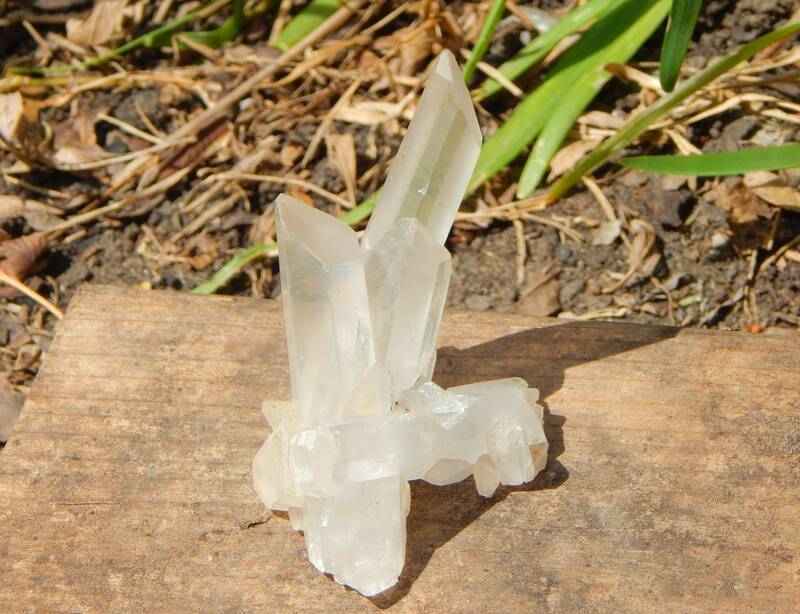 Metaphysical properties: These stones act as a psychic cleanser, clearing debris from the aura and allowing more full spectrum light to fill our physical and energetic bodies. 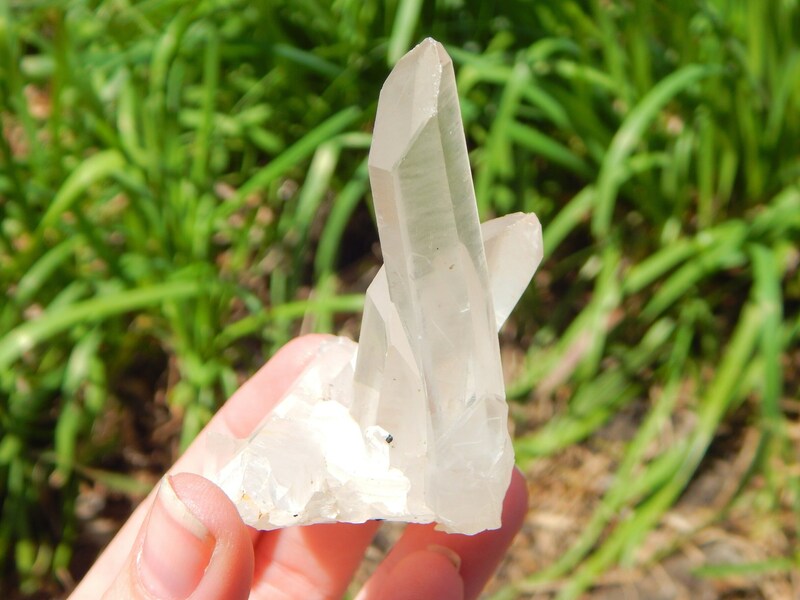 They help to rapidly expand our consciousness in order to release emotional attachments and commune with higher planes. 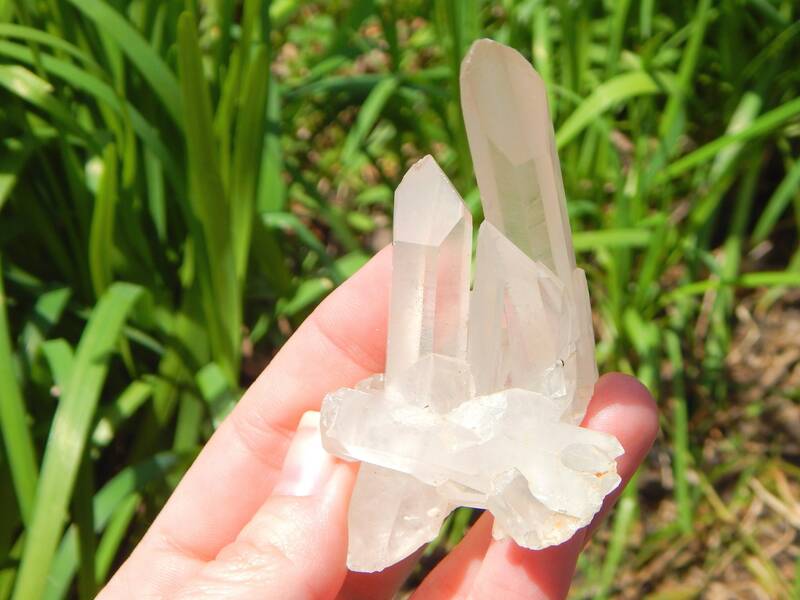 Tibetan Quartz is believed to aid in healing the nervous system, repairing the myelin sheath, brain and nerve ganglia.